1984’s television movie The Ewok Adventure was a smash success for ABC, and soon George Lucas was working on a sequel. The result is Ewoks: The Battle for Endor. A darker continuation of the previous movie, Battle for Endor introduces new baddies, and a new heroic character played by Wilford Brimley. Was the Force with the Ewoks this time? Join Arnie, Stuart, and Jakob to find out! 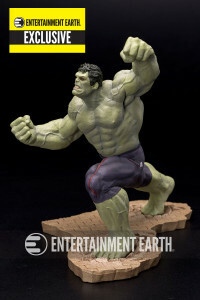 Win an exclusive ‘Rampaging Hulk’ statue! Even at 9 ½-inches, he’s still a big guy. Marvelicious Toys has partnered with Entertainment Earth to give one lucky listener an exclusive “Rampaging Hulk” statue by Kotobukiya. Here’s the description from the EE website. 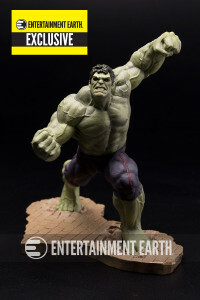 Incredible “Rampaging” Hulk! Jumping off the screen of Marvel’s Avengers: Age of Ultron and into your collection, the incredible “Rampaging” Hulk is striding forward, ready to smash anyone and anything in his path! 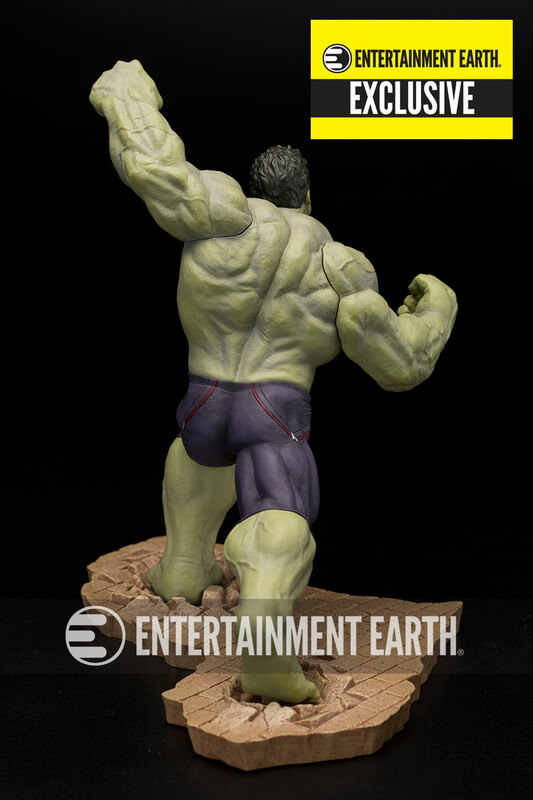 This Avengers: Age of Ultron Rampaging Hulk ArtFX Statue – Entertainment Earth Exclusive presents “the other guy’s” look when he was under the spell of the Scarlet Witch, including a lighter green skin tone and lighter purple pants with a darker accent of red streaks. 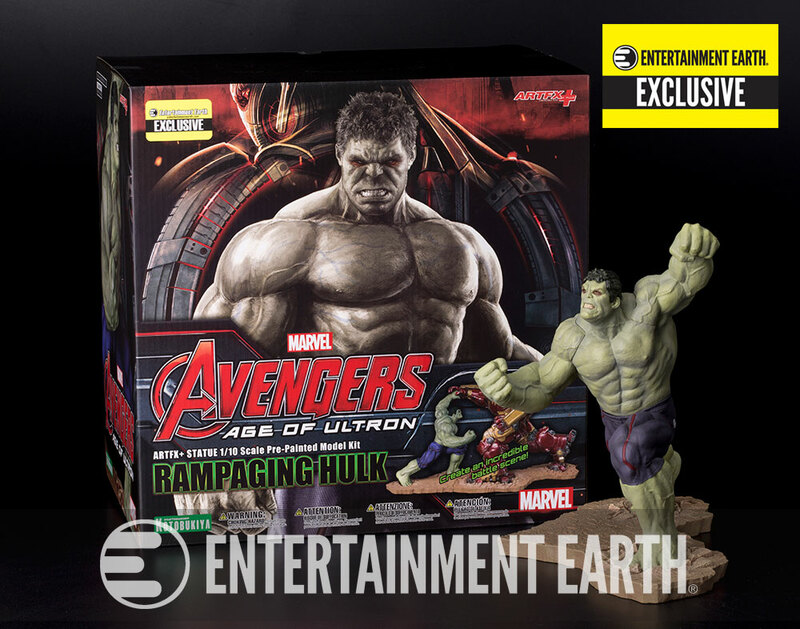 Rampaging Hulk also boasts a darker shade of red in and around his eyes. This one-of-a-kind piece features the high-quality sculpt and dynamic paintwork of Kotobukiya’s ArtFX line. 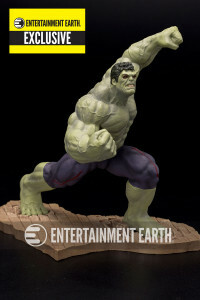 In 1:10 scale it measures roughly 9 1/2-inches tall on a special interlocking diorama base and is made of high-grade PVC. To win the exclusive “Rampaging Hulk” just click the link below and enter your Facebook account or email address. The contest runs from 12 a.m. Oct. 14 to 12 a.m. Oct. 19, and the winner will be chosen at random via Rafflecopter. There is no fee for shipping and handling, but entrants must reside in the United States or Canada.